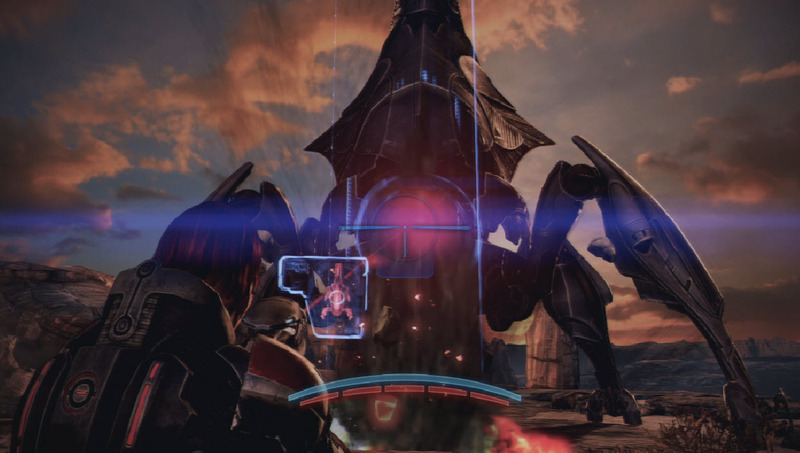 I'm having trouble with the last of the Rannoch missions, where Shep wakes up and takes on a Reaper. 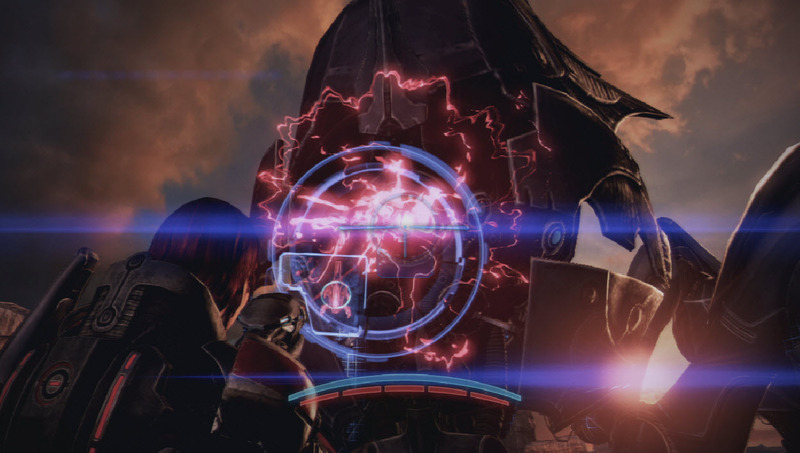 Shepard has a targeting laser which will call in an orbital strike with the combined might of the Quarian Migrant Fleet, but there's two major problems standing between the commander and victory. The Targeting Laser takes a while to power up. The Reaper is trying to kill you. I can consistently avoid the Reaper's attacks for the first volley, but each time you hit it, the Reaper moves forwards, giving you less time to dodge future assaults. Is there some key to avoiding the Reaper's attacks? Strafing doesn't seem to be enough. This was a very frustrating battle. The trick about the targeting laser is that it doesn't actually require you to complete the targeting lock in a single fire. You can completely let go of the trigger and run to the side, then re-aim, making increments of progress each time. The other thing I noticed, which was non-obvious to me the first several times I died in the final slow motion sequence, was that the targeting seemed to work much more quickly if your aim was as close as possible to the center of the red eye (not just "Am I in the blue target circle?"). I haven't replayed to confirm with Science™ that this is indeed true, but on my successful completion I made sure to aim dead center and it was all over very quickly. This boss fight is pretty tough, there are a couple of things that you can do to help get past it. Immediately lock on and hold FIRE to hit it once with an orbital strike. The tough part of fight is that you MUST stop to focus the orbital strike beacon, but you have to move often to avoid the Reaper’s laser. Note that you can roll to avoid the laser mid-focus and pick up focusing the orbital strike afterwards. However, it will become very difficult to just roll out of the way at the last second. Rolling won't affect your focus as much as running, but by the 3rd strike, it is easier to avoid death by the Reaper laser by turning and dashing/running from side to side. This video walkthru shows the rolling technique very clearly. The fourth strike is the toughest of all, and you will need to focus in small bursts. After making this strike, you will enter a slow-motion scene to engage your final shot. Just point, focus and blast away. You have to stand still for the laser to lock on quickly. It you move, the lock on becomes very slow. Dodge, then stand still while you fire! Even if you're holding the trigger, the laser will only start firing once the blue targeting circle has appeared. If you're already holding the button down before the circle appears, the laser won't come on automatically. You have to let go of the trigger and start firing again. Make sure you see the thin laser beam! You can't dodge the slow motion laser. The fourth phase/slow motion phase isn't as hard as it seems. i held the laser for about 10-15 seconds running in one direction. after that time, i stopped running and stopped painting the reaper with the laser. i then started running the opposite direction and continued to paint the reaper with the laser. 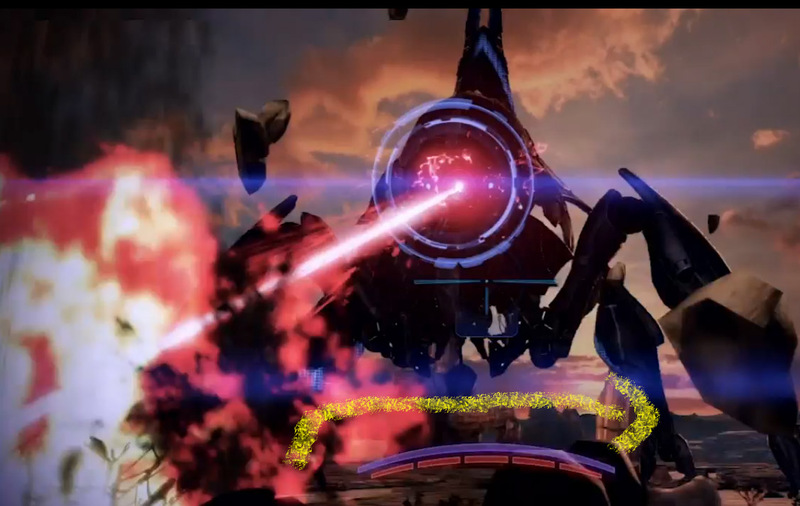 once you continue to paint the laser, shepard will continue at regular speed and the reaper will continue in slow-mo. the laser will speed up as well and that will be the end of it. hope that helps! Are there consequences for delaying Priority: Rannoch to complete Rannoch: Geth Fighter Squadrons? How do I receive the Rannoch: Admiral Koris mission? How do I guarantee a succesful outcome of the Rannoch: Admiral Koris mission? Do I need to clear out all the Reaper code in Rannoch: Geth Fighter Squadrons? Which reaper ground forces derive from which races? What is the nature of reaper destroyer weapons?